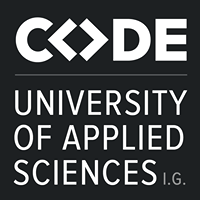 CODE offers full-time, year-long programs in software engineering, interaction design, and product management in Berlin, Germany. Students will have the ability to solve real-world problems by crafting code in multiple environments and languages, identify user needs and create corresponding design interfaces, and develop strategies for digital products. CODE feels there are far better ways to document skills and knowledge than giving out grades; therefore, their special Competence Framework represents 8 main competencies that students can obtain while studying. Students create Individual Competence Profiles and then will be able to choose a course of study that matches their skills and goals. CODE also provides guidance from an academic counselor and helps students develop their soft skills through their Science, Technology and Society program that fosters a broader understanding of the technical and social dimensions of science and technology. Find out full details for the application process here. Students will be able to identify user needs and then design, engineer and validate corresponding user interfaces and experiences. Students will learn graphic design, interface design, UX design, animation design, interface engineering, mobile UI engineering, and lab testing. Students have an option to benefit from a from pay-after-your-studies from a financial partner Chancen eG. If chose, there's no upfront or monthly payment of any tuition required while you study at CODE. Students will learn to develop strategies and concepts for digital products, coordinate their development, analyze and validate ideas. Students will also learn project management, data science, prototyping, design thinking, entrepreneurship, leadership, online marketing, and testing skills. The Software Engineering bachelor program provides students with comprehensive scientific and practically applicable competencies needed to become an expert in the field of software development. Students will learn various programming languages, databases, tools, operating systems, DevOps, math, algorithms, computer architecture, planning, QA, and sogware development collaboration techniques. Any other information you'd like to share with Ina from CODE? By submitting, I acknowledge that my information will be shared with CODE. An email with these details has been sent to CODE. You've already applied to this scholarship with CODE.